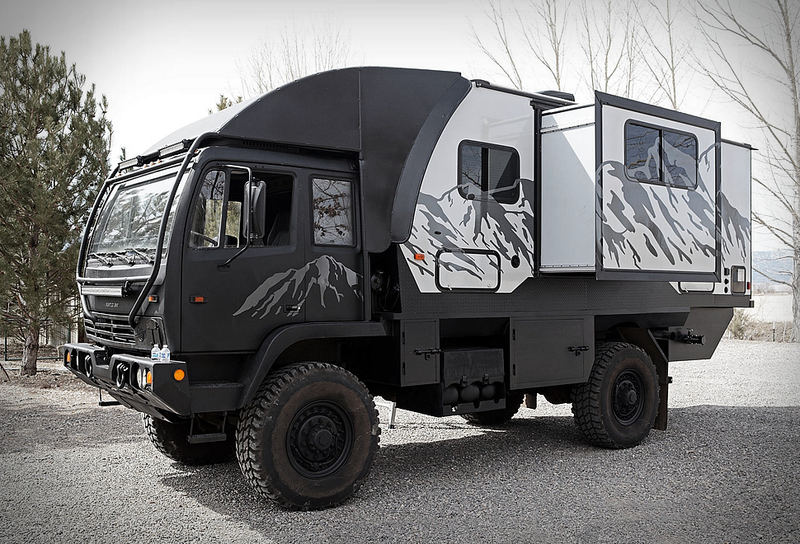 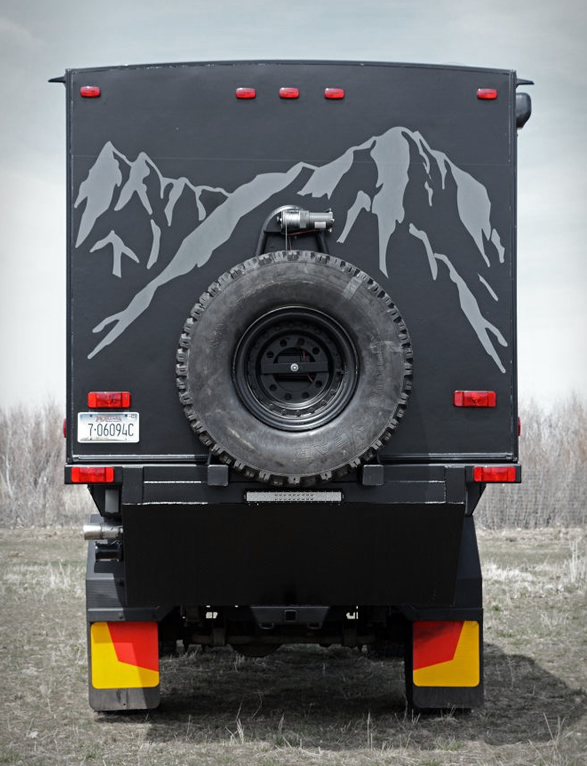 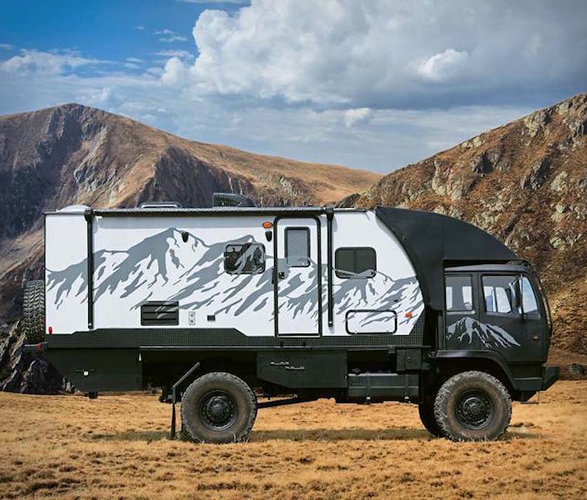 Hunter RMV is a Nevada company that builds Expedition Vehicles, their spectacular campers are in a class of their own and combine off-road and off-grid capabilities with with modern, home-like interiors. 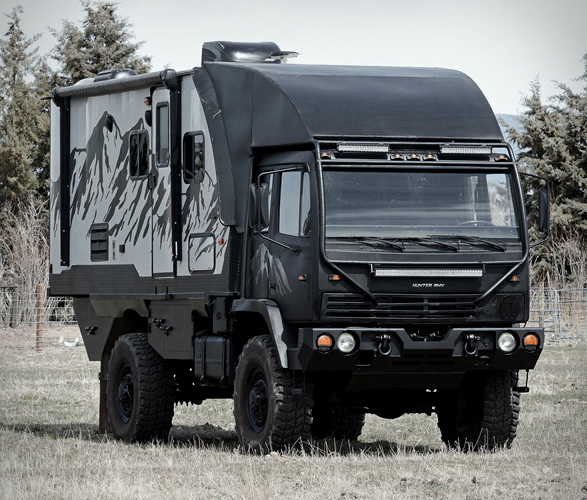 The spectacular Predator 6.6, is a five-person off-road RV, a repurposed Stewart & Stevenson M1078 4x4 light medium tactical vehicle (LMTV). 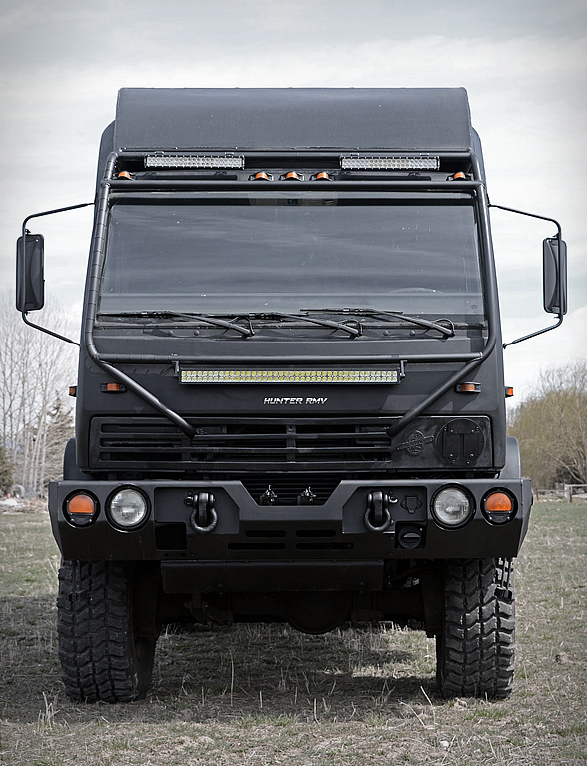 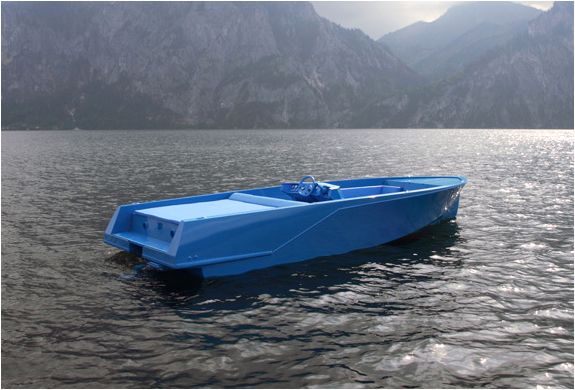 LMTVs were previously used as soldier and cargo transports, but this beast was converted into one of the largest and most versatile expedition vehicles available, powered by a 6-cylinder, 6.6L Caterpillar diesel engine that’s turbocharged and aftercooled. 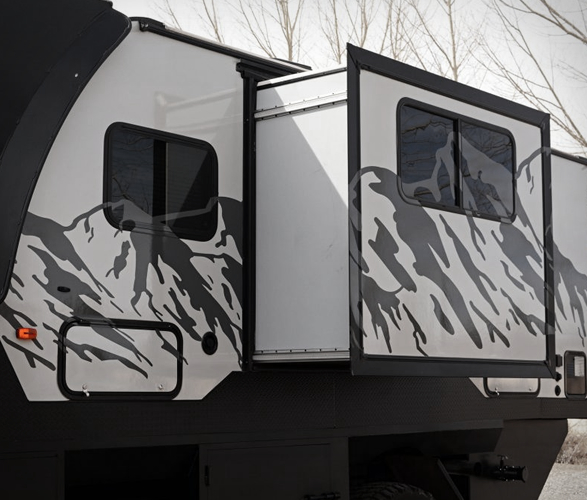 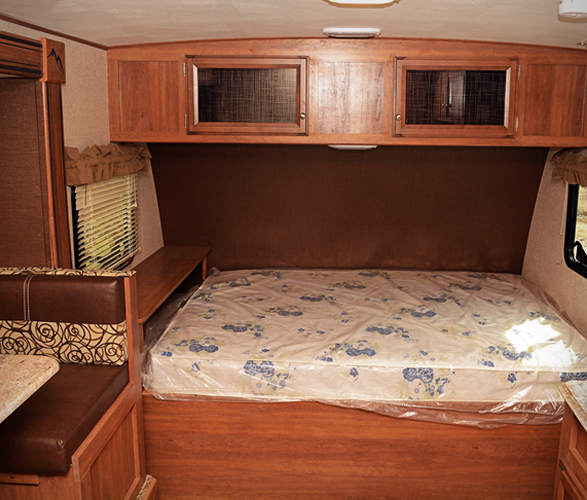 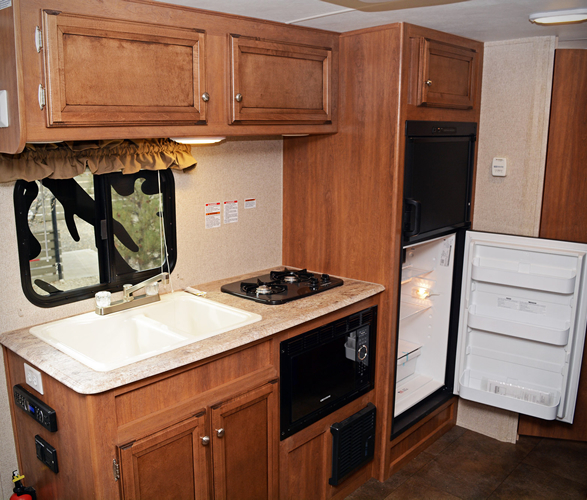 The luxurious camper inside features a queen bed, two bunks, switch-controlled awning, dinette, double-door refrigerator, two-burner stovetop and even an optional washer/dryer combo. 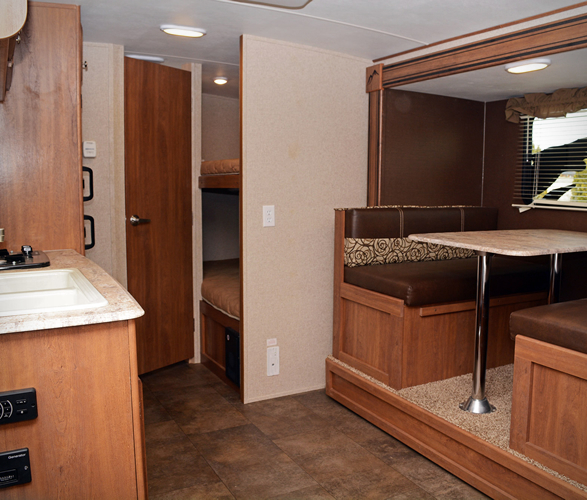 Expansion slide-outs help to increase space and livability at camp.